This page gives a quick overview for some details that might help you in your work with InnoList. For filtering also relative values can be used. Use Plus or Minus with the number of years/months/days/hours/minutes/seconds in the future or past. Also a combination is allowed. If you open a InnoList application with the desktop version, Ctrl+f can be used to find text in the page shown. 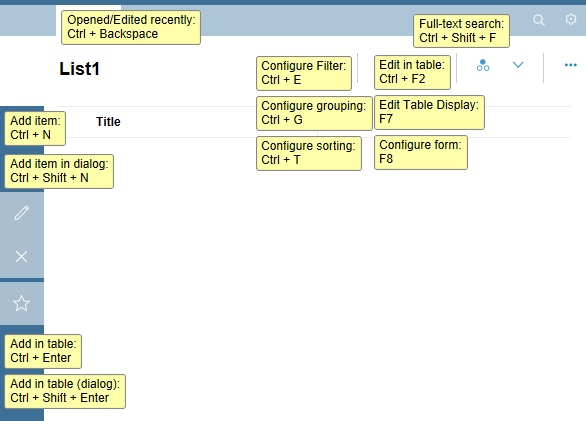 At the bottom of the window a search field is shown, the search is limited to data shown, findings are highlighted. If a web browser is used to open InnoList applications, the search feature of the web browser is used. 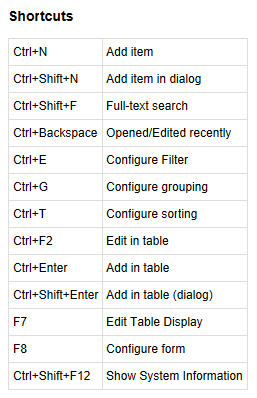 For quick access you can also create shortcuts on the desktop of your operating system easily. 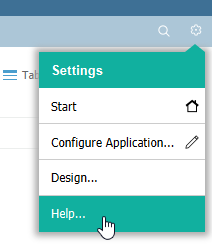 To do so open the main menu Application -> Create Shortcut. Shortcuts help to access features quickly. With the shortcut Ctrl+1 or Alt+1 an input field for quick access is opened (top right). InnoList stores any file uploaded in a subdirectory named uploads, below the directory where the application created is stored. For image files also thumbnails are created, they are stored in the subdirectory uploads/thumbnails. To prevent problems please do not use multiple applications with uploads in a single directory.